The Lane Trilogy, a labor of love. I fell in love with the Lane family as I followed them through the peaks and valleys of life. Only God could weave their story into something meaningful. It’s easier for a camel to pass through the eye of a needle than for a rich woman like Lyza Lane to be saved. Yet with God all things are possible. Who reveals Lyza Lane’s secret? Find out how her father reacts to the news that his legacy is in danger. Lyza’s world turns upside down more than once. David stands by Lyza, but is he the man God chose for her? What changes Leesa Lane from the sweet little sister to a no-holds-barred corporate mogul? Her dreams for Kramer’s Island crumble before her eyes. The love of her life rejects her, sending her on a downhill spiral. What tragedy ends Lawrence’s thirty-five years of faithful marriage? Will Cook’s faith remain strong? And what happens when Chuck O’Malley shows up in LA? Leesa finds herself dethroned as head of L. L. Lane Unlimited. Her anger and bitterness towards Bill and Lyza lead her into temptation. Will Leesa humble herself enough to change before she hits rock bottom? Chuck O’Malley shows up, adding to her misery, and Leesa decides that Christians ruined her life. Thanks to her new friend, Lennie, her life turns around. Is love shining through? Will Cook’s prayers for Leesa be answered, or is the Lord teaching her about patience and grace? 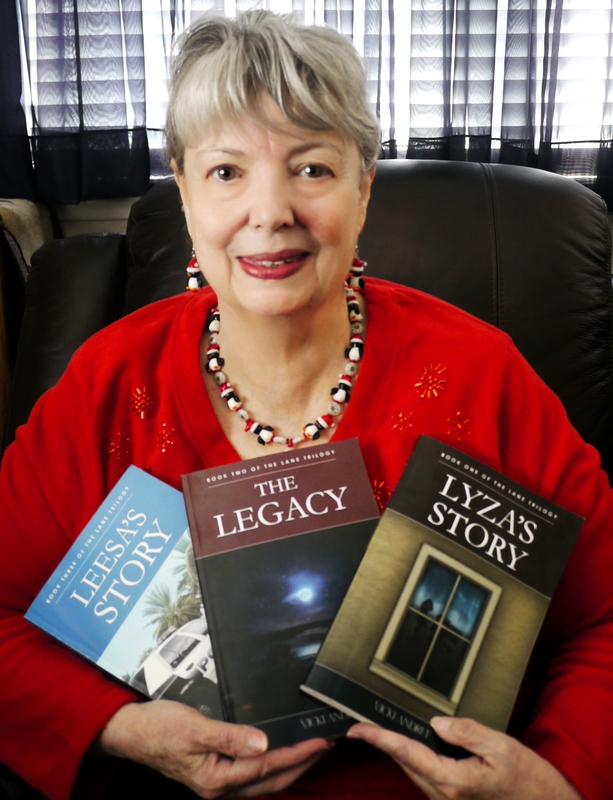 Click here for more information about the Lane Trilogy, and all of my books. Vicki Andree lives with her husband, David, in Erie, Colorado. They enjoy family reunions in Steamboat Springs, Colorado and the seashore at Daytona Beach, Florida. She has been blessed to travel to many of the places mentioned in the Lane Trilogy. She earned her doctorate in Practical Theology in Biblical Counseling in 2006 and is an advanced Splankna practitioner. Vicki is a committed Christian, using her talents to serve and advance the Kingdom of God. She is a member of ACFW and the Christian Writer’s Guild.